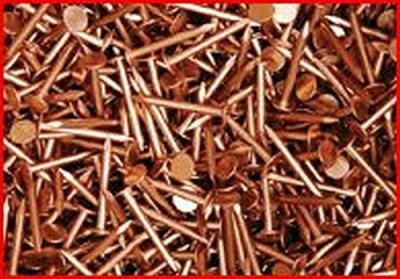 Copper Nails have a large, flat head and diamond points. 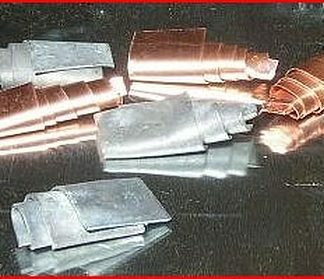 Copper roofing nails are used for copper flashing applications and slate and tile roofing installation. Select length desired. 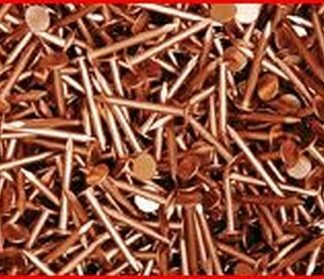 Approx 147 nails per pound for 1.25″. Approx 129 nails per pound for 1.5″. Approx 93 nails per pound for 2″. Approx 81 nails per pound for 2.5″. Approx 67 nails per pound for 3″.